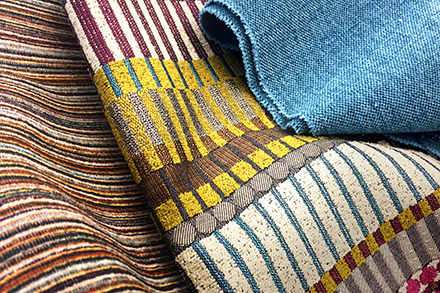 The collection includes three striking upholstery patterns inspired by Iceland’s vast and stunning landscapes and vistas. 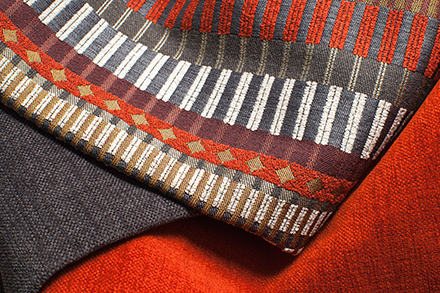 From the renowned and astonishing Aurora Borealis seen in its winter skies, to the variegated tones in the mountains and meadows, to the smallest scale mosses growing on stones in lava fields, Iceland offers an array of rich and muted colors created by nature itself. 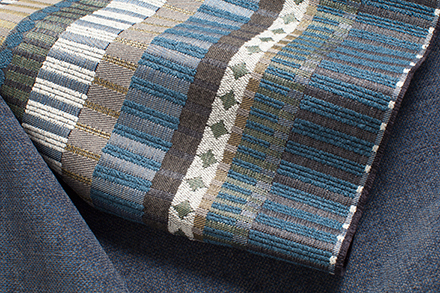 Inspired by Aurora Borealis, this pattern is woven with three different yarns to achieve a surface with depth and variety. 5 colors | 65,000 D.R. 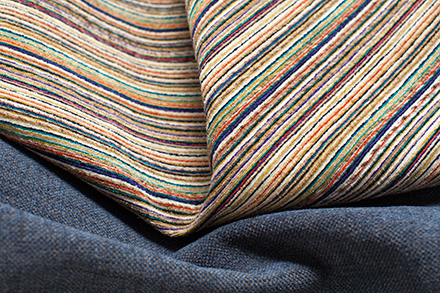 A chenille and wool stripe with large bands of undulating color as unique as is the strata of the earth. 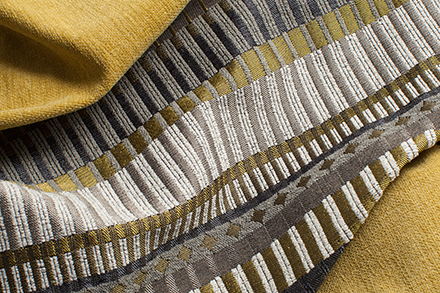 A soft texture reminiscent of lichen-covered stones and boulders on Iceland’s rocky beaches.